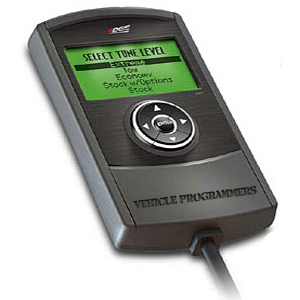 The Edge Evo HT is a premium hand held performance Vehicle Programmer and Tuner, and it is the latest release from Edge Products. The Evo HT was developed specifically to give you the most power and performance possible at the best price, and it comes with industry leading service and quality that comes standard with every Edge Product. 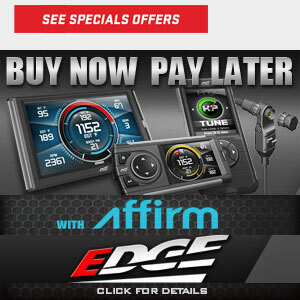 With the Edge Evo HT, you literally hold the power to unlock the hidden potential of your Truck, Car, or SUV's power and fuel economy in the palm of your hand! The Edge Evo HT is sure to be the most exciting hand held Vehicle Programmer to hit the market this year. Tunes compatible with hard parts such as cold air intake, exhaust, air filter, and throttle body spacers. Advanced transmission tuning to further adjust shift schedules and parameters within each shift point. The Evo HT is internet updateable via it's built in USB port. Simply plug it in and update your Evo HT for the latest updates, software, and calibration files.